U.S. Congressman Jim Costa and UCCE nutrition, family and consumer sciences advisor for Fresno and Madera counties Mandeep Virk Baker prep salad ingredients. 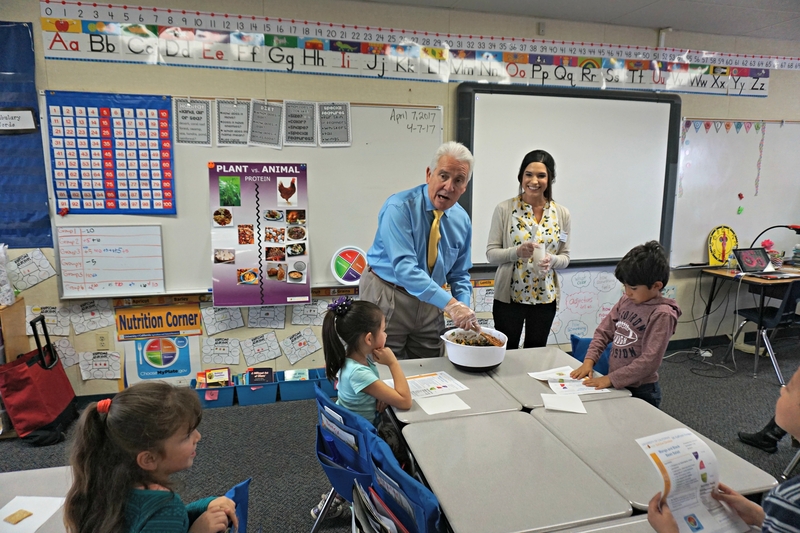 In April, Congressman Costa not only met a group second graders at La Vina School in Madera County, their teacher Veronica Nava, and principal Jesus Navarro, he tucked in his tie and blended healthful ingredients like black beans, bell peppers and fresh mangos into the salad for the children to taste. "I grew up in a rural area like you, and went to a wonderful school, like the one you're going to," Costa told the children. "You're lucky to have classes like this. 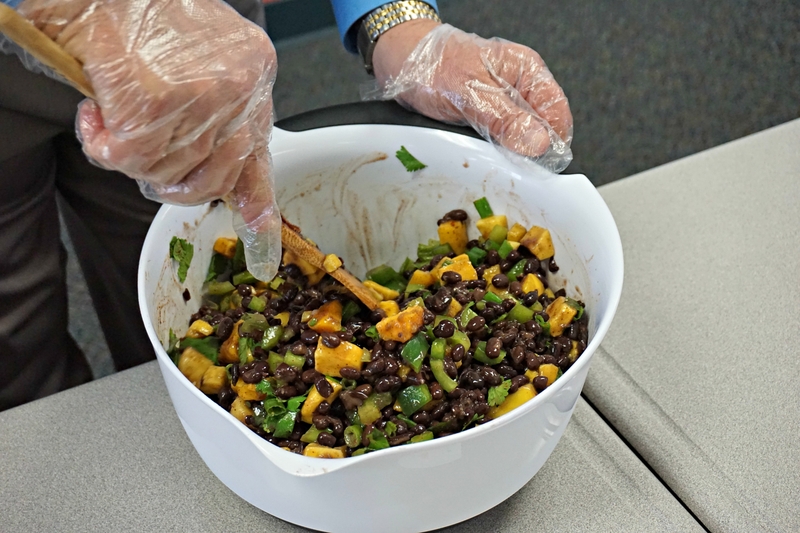 It's so important to have good eating habits." 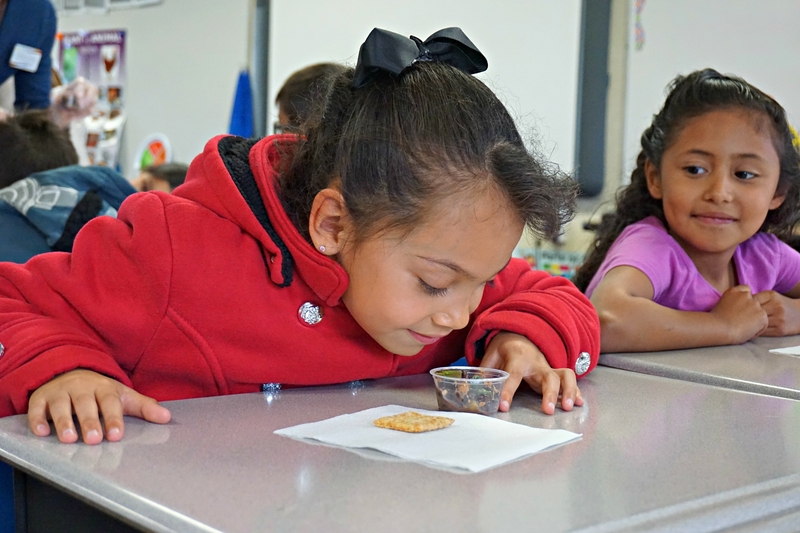 A second-grader sniffs the salad before sampling. "Smells like veggies," she said. Costa said it was an honor to represent the second-graders and their parents in Washington, D.C.
"Can you do me a favor?" he asked. "I want you to be the best you can be. If you do well in what you do, America will be a better country." 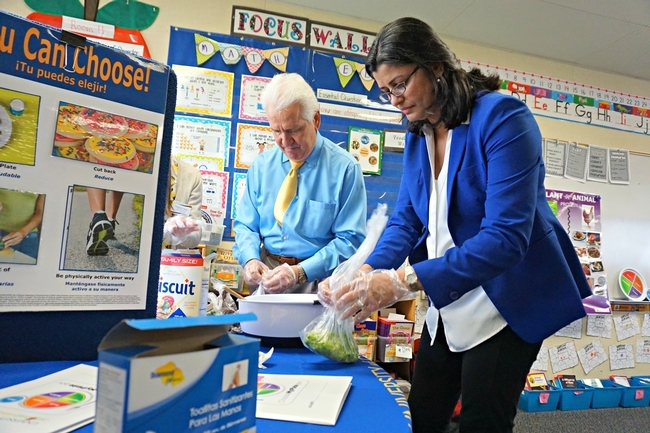 As a youth, Costa was a member of 4-H, a youth development program offered to children aged 9 to 19 by UC Cooperative Extension. U.S. 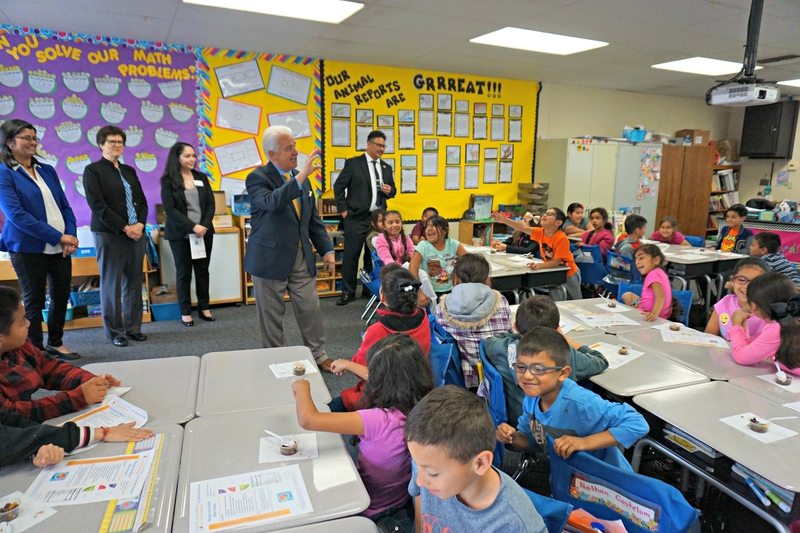 Congressman Costa says goodbye to La Vina second-graders.